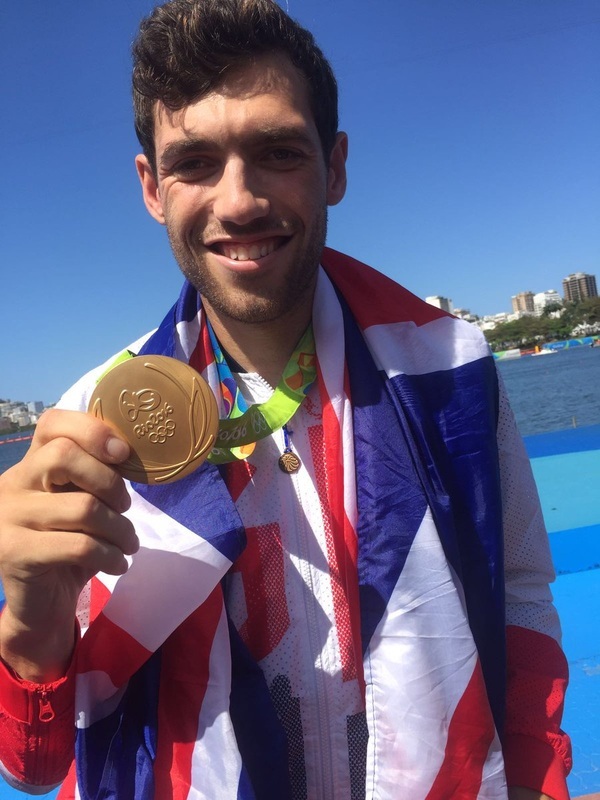 ​Chipping Campden rower Matt Gotrel was part of the men's coxed eight team that won gold in Rio. We caught up him on his return to the Cotswolds to discuss sacrifices, diets and plans for the future! Apart from the winning the gold medal, what was the best experience of Rio 2016? It was unbelievable watching the women's hockey final. I went to see the semi final too and there was a great atmosphere. During the celebrations I did manage to get stuck in between the seats which was highly amusing but it was amazing to see history being made in such an incredible final. How will you motivate yourself now after reaching your life goal? An average week is about 200k of rowing with weight sessions. We do 3 sessions a day starting at 7:30am and finishing at about 4pm. Wednesday's are half days where we have an ergo test. Saturday's are half days with tests on the water and we have one Sunday off every 2/3 weeks! What sacrifices did you have to make to achieve this? You miss so much; Birthdays, weddings and there are so many friends you don’t see for years - that's the hard bit. I also think I owe my girlfriend a few weekends! Did you get to see any other events other than the hockey? Yes! I watched quite a lot whilst we were out there - Athletics, Boxing, Weightlifting and Sailing! How can you see your life changing from here? I don’t see my life changing too much. I’m still the same person. I know having a Gold medal opens a few doors and I’m looking forward to seeing what lies ahead but what I want in life hasn't changed - a nice life in the Cotswolds! What is the best bit of advice you would give in life or rowing? Never give up and trust yourself, you know yourself better than anyone else. "You miss so much.. I think I owe my girlfriend a few weekends!" My sporting hero growing up was Ben Ainslie as I was a keen sailor before I started rowing and dreamt about going to the Olympics in the sailing. But people like Chris Hoy have been great role models for me for his dedication and commitment to be at the top of his sport for so long. We see that you used to work at the Horse and Groom at Bourton on the Hill - Are they having a party to celebrate? The Horse and Groom were so supportive over the years. I started working there at 15 years old and I was still having shifts when I was 23. They helped fund me through my sailing days and whilst I was at uni. I am every grateful to Tom & Will and all the staff and I’m looking forward to celebrating with them as they have been a big part of my upbringing. If you could compete in any other sport at the Olympics what would it be? That's easy - Sailing. I was part of the Sailing team in 2008/9 so I knew a lot of the guys out there competing and it was always my dream. Which three people (famous or otherwise) would you most like to invite to a dinner party? How many of the team are planning on 2020? I'm sure a lot of people will be carrying on to 2020. We have such a strong team and we have a lot of guys who are still young and want more medals. I'm sure those who medalled, like myself, wouldn’t have thought about the future and what it means to win a Gold medal, so I will take some time to decided about Tokyo - 4 years is a big commitment. 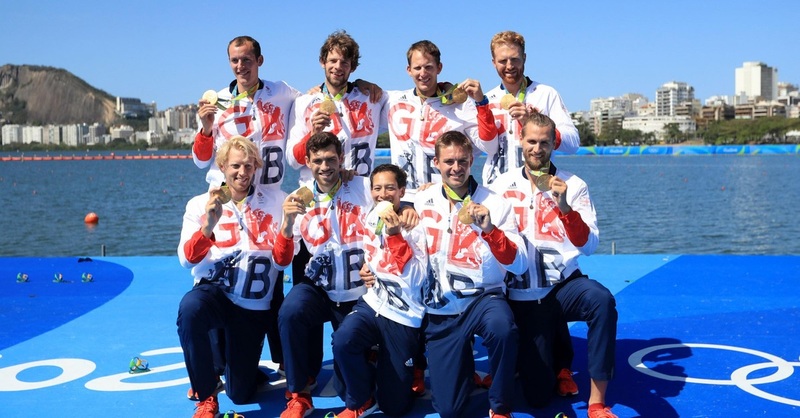 What is the diet of an Olympic rower? The diet is big! I’m lucky that I can eat what I want and I just need a lot! We need to consume about 6000 calories a day so lots of carbs and protein, but nothing too special - just healthy wholesome meals. Did you have a motivation song? There is one song which sticks in my mind as it was the last song I listened to before winning my first World Championships in 2014, Oliver Heldens - Overdrive. That has great memories for me. At what stage of the race did you know that you were going to win? When we came through half way I knew we had a big lead but anything can happen and nothing counts until you cross the line! What were the Olympics like away from the sports? The Olympics as a whole was amazing. It wasn’t perfect, some of the transport took a long time, but nowhere near as bad as the press made out. I didn’t encounter any problems at all during our competition or the celebrations. I think they would say I was pretty easy going. I do have many nicknames and can take a joke pretty well which often happens! They call me “The Professional” mainly because I'm relatively capable at a lot of sports (by rowers standard!) so they assume I’m good at everything.. That gets a lot of use!